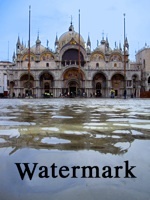 WATERMARK is a feature-length fictional screenplay set against the backdrop of global warming‘s immediate danger to international coastal cities. 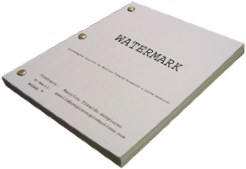 In July, 2005, the WATERMARK script was used as centerpiece for discussion at a Johnson Foundation Wingspread Conference, supported by The Johnson Foundation, the Park Foundation, Timberland, and the major US environmental groups. WATERMARK was featured at the Sundance Conference “Investing in Media That Matters,” at the Hamptons Writers Conference, the IFP Market’s “No Borders,” and the Tribeca Film Festival / Sloan Summit. Script development has been funded by Paul Newman, the Sierra Club, the Turner Foundation, Timberland, the Pew Center on Global Climate Change, Schneider Optics, The Puffin Foundation, and corporate sponsors. Script research led to the creation of the documentary shorts - Protecting New Orleans, Saving Venice and NOLA.